The “offices” of Schwalb Entertainment will be closed from January 9th until January 18th for a convention. Please note any orders that require shipping placed during this time will not ship until the 19th. You can still order digital downloads from the shop and product through DriveThruRPG and physical books from Studio 2 Publishing. The Demon Lord makes no apology for any inconvenience this might pose, though Rob does. Thanks and keep fighting the Void! Forbidden Rules: A New Sourcebook for Shadow of the Demon Lord! Dice rules that range from cooperative tasks to consistent damage, bell curve rolls, and variants in which players make all the rolls. More marks of darkness and rules for using fortune points. A system of power points to replace castings! Using the options in this book helps you tailor your Shadow of the Demon Lord role playing game experience in a variety of new and interesting ways, but even if you don’t alter the underlying system, certain options are perfect expansions for the main game. Do you have the courage to read these Forbidden Pages? 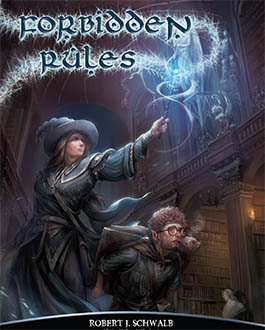 Buy Forbidden Rules from Schwalb Entertainment in PDF, Print or from DriveThruRPG! French Edition of Shadow of the Demon Lord! As many might already now, here at Black Book Editions we love fantasy settings. So when D&D, Numenera and Warhammer veteran Robert Schwalb announced that he was developing his own game, we were certainly intrigued! 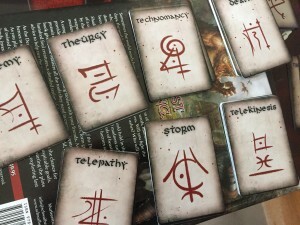 After a very successful Kickstarter campaign, we all got to discover Shadow of the Demon Lord – and we weren’t deceived! 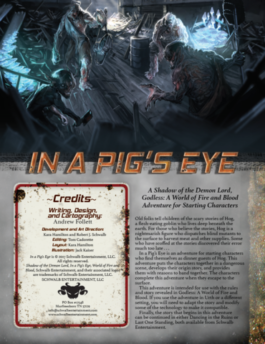 A simple to grasp system that offers lots of possibilities and a dark setting that will highlight those heroic moments of your characters (as long as they can resist the corruption of course…), the ones who have the force and will to oppose the Demon Lord! We were hooked and we are now proud to announce our partnership with Schwalb Entertainment to bring this game to France in 2017, starting off with a selection of its best adventures and rules supplements available so far! We will soon be walking in the shadows together! I’m super excited to be teamed up with these guys and I know they will do an excellent job spreading the shadow across the world! Heavy Metal Turn Tokens and Fortune Tokens! 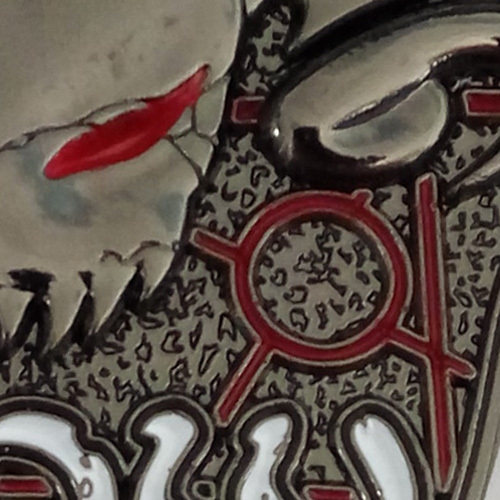 From the pits of nightmare come two black metal tokens for Shadow of the Demon Lord, the dark horror fantasy roleplaying game by Robert J Schwalb! Both tokens are designed by Lee Smith and manufactured by Campaign Coins, under license from Schwalb Entertainment, LLC. 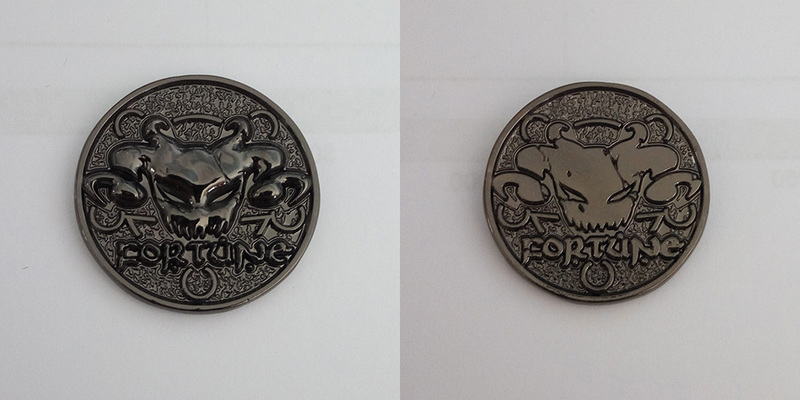 Buy the turn tokens and fortune tokens here or from Campaign Coins! Spell Cards of the Demon Lord! If you play a user of magic in Shadow of the Demon Lord or run the game using creatures with several spells on hand, it can sometimes be tricky keeping all the spell effects straight, especially when you need to bounce between two or three traditions. Now, I am proud to present spell cards for Shadow of the Demon Lord! 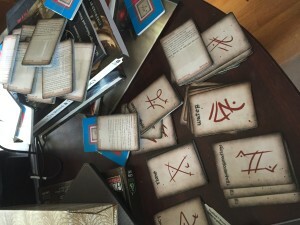 Each card tells you what happens and what you need to do to cast the spell or, for the rare long spell, where to find additional information. 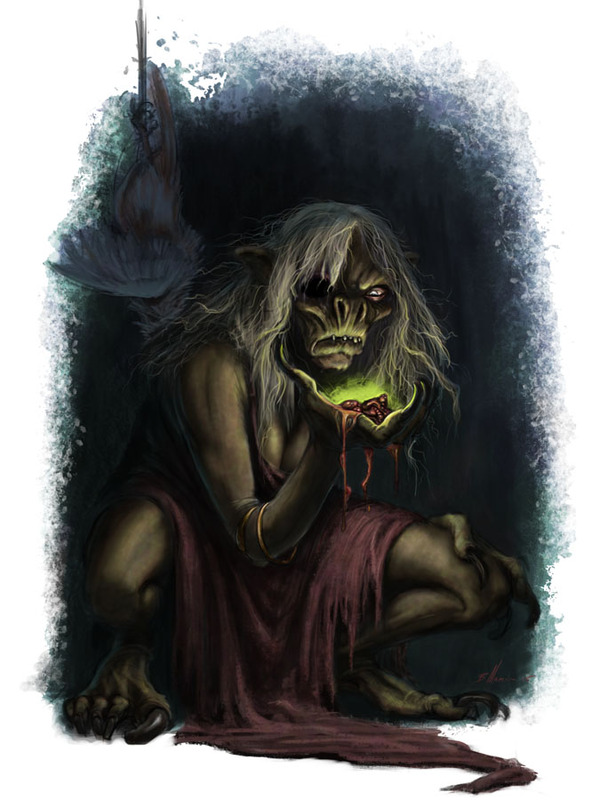 As the Shadow of the Demon Lord role playing game rulebook contains over 300 spells by itself, we’re selling the cards in tradition packs, both as PDF (for .50) and as physical cards (for 1.99 to 2.49, which also includes the PDF). 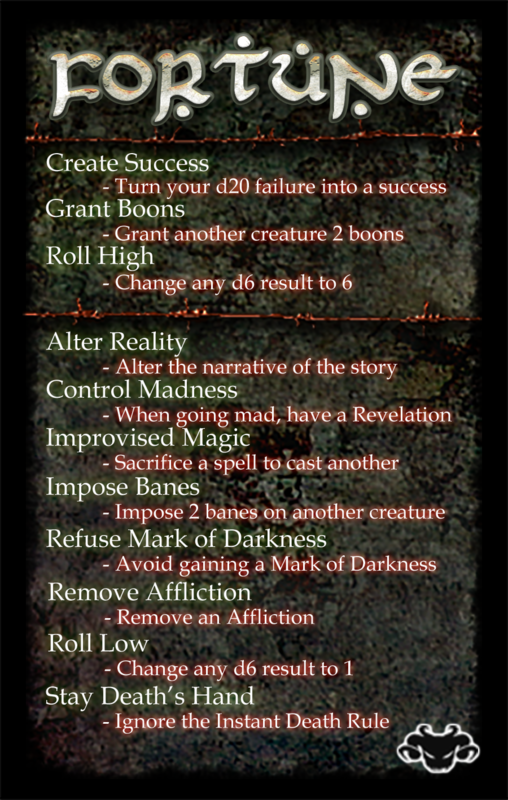 The traditions from Demon Lord’s Companion follow the same model, while all the spell presented in Tombs of the Desolation are available as a single pack. Best of all, if you want all the cards in the set, we’re offering bundle deals. 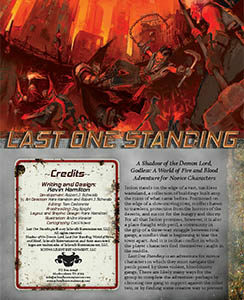 You can all the printed cards from the core set for $51.70 (a savings of $9.29) and all the printed cards from the Demon Lord’s Companion for $12.23 (a savings of $2.20). In other words, if you get the core printed bundle, you’re getting four decks free, and one deck free if you get the Demon Lord’s Companion Spell Cards bundle. 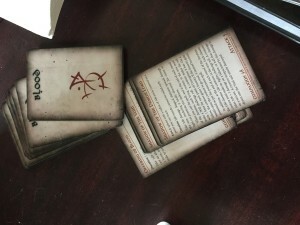 As I release new supplements, we’ll add decks to the spell cards. 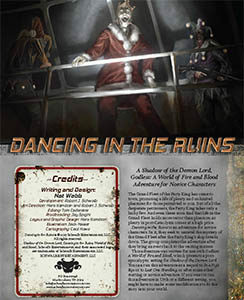 Final Note: If you’re looking for hardcopies of Shadow of the Demon Lord supplements, they are also available for sale at DriveThruRPG. Schwalb Entertainment will be attending Winter Fantasy from 2/3 to 2/6 and the offices (heh, there’s really just a basement and a crowded room) will be closed until 2/8. Thanks and we hope to see some of you at the show!